It all starts with something simpe! Recently Joshua was brushing his teeth before bed and his Mom explained he should turn off the fawcet and not waste water. Joshua asked why, and she explained that there are children/people dying in Africa due to a of drinking water crisis. That night he broke open his piggy bank and offered every cent he had (including Canadian Tire Money) to donate to those in need of fresh water in Africa! 09/17/11 Liam Burns $20.00 Happy Birthday, we hope you reach your goal! 09/17/11 Natasha Roy $15.00 Way to go Josh!!! 09/17/11 Nathan Frew $25.00 Happy Birthday Josh...great idea!! 09/17/11 Nathan Boatter $25.00 Happy Birthday Josh! 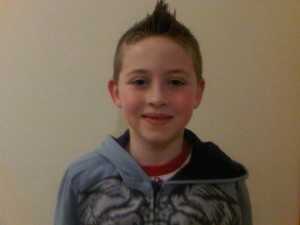 09/16/11 Andrew Chin $25.00 Great idea Josh, good luck with all your fundraising. Your efforts make a difference! 09/15/11 Ryan Farragher $25.00 Happy Birthday Josh, I agree with Liam Bressette, awesome idea! 09/07/11 Liam Bressette $25.00 Super awesome idea Josh! What a generous and kind example you are setting for your buddies! Happy 8th B-day!